Da Lat is a paradise city, is not it? 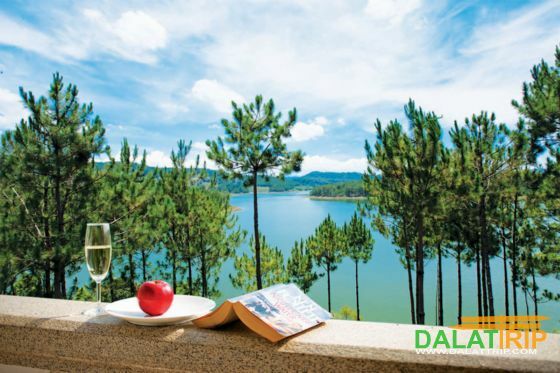 TOUR DA LAT » TRAVEL BLOG » Da Lat is a paradise city, is not it? 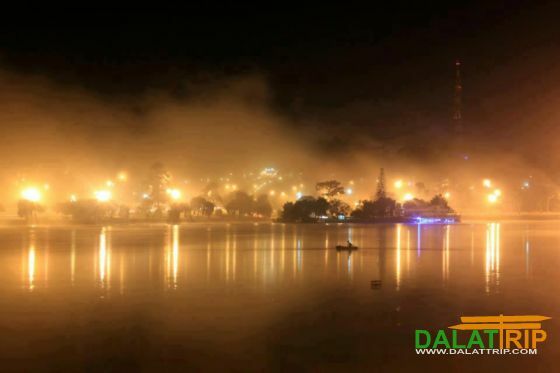 Like many tourists who have visited Dalat, music composer Quynh Hop – a “daughter” of Hanoi who was passionately fascinated by the ancient town under the drizzling rain or deeply absorbed in the beauty of Ho Tay lake in the morning dew – once said: “The morning of Dalat is as beautiful as paradise” and her emotion became lyric in her lovely song entitled “Dalat in Shimmering Haze” (Da Lat mo suong). Wouldn’t it be a paradise, when you wake up after a good sound sleep and throw the window wide open, and the whole beautiful water colour painting with ranges of hills and mountains, very tall pine forests, the greenness of trees and grasses, multiple architectural styles of houses… catch your eyesight? Dalat the rather high, rather low and hidden city appears then disappears in the magical morning dew. Wouldn’t it be a paradise, when you stand by Xuan Huong lake, contemplate the morning dew fluttering over the rippling waves?… And look! 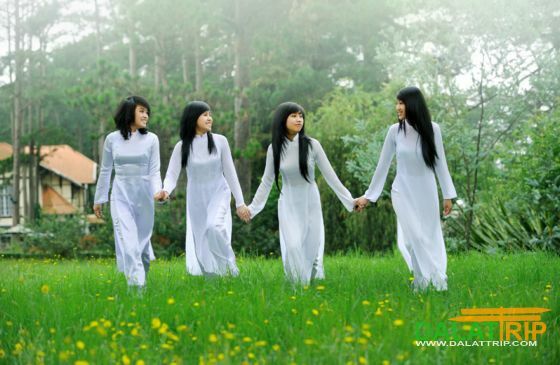 Morning dew ngers on many a slope, where charming school girls in their white “Ao Dai” adorned by colorful sweaters loom out of the fragile mist. when you catch sight of clusters of morning dew clinging slightly on tree tops, on leaves and pure dewdrops lingering on shy flower buds and brilliant petals? Wouldn’t it be a paradise? When the mist is flying, flying higher, spreading out then gradually melting when the sunshine squeezes through faraway mountains, through the pine forests, through faraway mountains, through the majestic pine forests, through gently sloped hillsides, through undulating houses… So the whole city is glistening and radiant in the new morning? Wouldn’t it be a paradise, when you quietly sit on the roadside lawn, gently touching the blades of the grass covered with fresh dew or caress dew-covered flower petals and let the feeling of the cold slip into your body and makes your soul free and serene…? And indeed Dalat is “a paradise”: yesterday you felt oppressive by the sweltering condition and the stifling heat and the stuffy atmosphere… of summer weather somewhere, … but today, you can breathe in the fresh cool air, admire the foggy city, live in the romantic heaven of Dalat and also enjoy this specific and romantic city to the full !